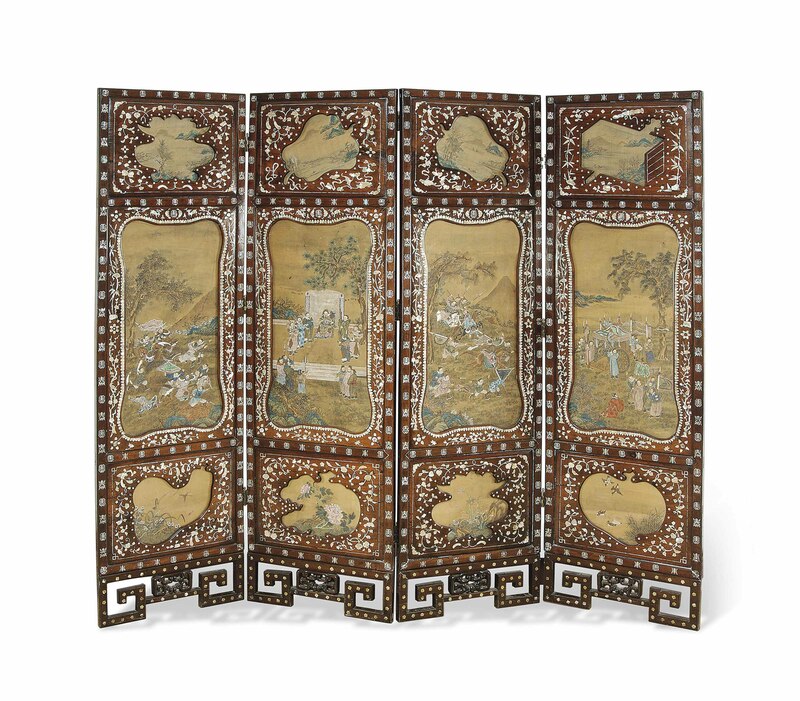 Each panel of the screen is inset with a large painting panel depicting a scene out of the 'Romance of the Three Kingdoms', San Guo Yan Yi. Above and below these are smaller panels depicting flowers, these panels are shaped as the attributes of the Eight Immortals. The paintings are all watercolours on silk. The wooden frame is decorated with flowers and ribbon inlay.